Best LSAT Prep Courses: Which LSAT Prep Course Is Right for You? In this detailed comparison of LSAT prep, I've listed my top LSAT review courses on the market. Because I have firsthand experience with these courses, I'm confident that one of them will be right for you. So, please use this page to compare LSAT prep courses and learn more about your best LSAT study options. With this information, you can pick the course that fits your learning style. Manhattan’s online LSAT course is nothing short of impressive. The course covers everything you could possibly need to study, and purchasing the course gives you access to all of the materials you’d need to supplement with. The methods taught in their lessons are proven to be effective, and are delivered by highly trained, highly skilled professionals. The only people I would advise to not take Manhattan’s online LSAT course are students who lack the motivation or willpower to stick to a self-paced course and students who start with diagnostic scores in the high 160s or 170s. 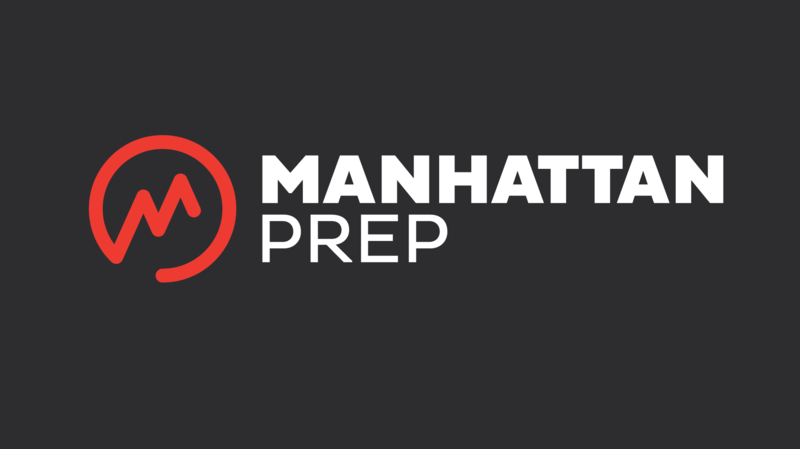 Manhattan’s LSAT course all but spoon-feeds you the knowledge you need to ace the LSAT, but you still have to put in the work. If you’re not willing to do that, then this course (and probably law school) isn’t for you. And if you start with scores in the high 160s or 170s, you’ll probably only need to self study for a while before you start getting 175+ scores (you lucky jerks). Velocity is one of my favorite online LSAT courses that I’ve used- especially out of the courses that I hadn’t heard of before I took the LSAT. It’s course is holistic, comprehensive, and affordable. Their founder, David Hall, is nothing short of extraordinary and passionate. David has scored a perfect 180 on 3 official LSATs. He started Velocity after deciding law school wasn’t for him, and then later enrolled into law school to more effectively understand what his students were getting into. The course starts with formal logic lessons transmitted in the form of interactive instructional videos delivered by David himself. The course then moves into easy Logic Games, then progressively adding difficulty. Then, the course focuses on Logical Reasoning question types, and culminates with Reading Comp. This progression of lessons is the most effective that I’ve seen, and flows naturally for all learners. All of the videos are effective, clear, and engaging enough for even the most unenthusiastic student. I would recommend Velocity for any student- those scoring in the 130s, 140s, or even 150s. For the rare 160s diagnostic scorers, I even believe Velocity is for you. This program can effectively catapult student’s scores 10, 15, or even 20 points when combined with effective study habits. LSATMax’s curriculum is sufficient to give students a conceptual basis for approaching the LSAT. It is more than enough to get students scoring in the high 150s and 160s. I do have hesitations about the effectiveness of LSATMax for students shooting for scores in the 170s. But, as I’ve said time and time again, scoring high on the LSAT requires working hard and working smart. LSATMax will help you work smart. The LSATMax app’s score analytics tools enable students to be able to identify problem areas and target them in their prep. This is helpful for all students, but especially those looking to score in the higher ranges. The online course itself is intuitive and simple, and it won’t distract you from your actual studies in any way. The message board allows you to discuss questions with other students and instructors, and video lessons can be sped up or slowed down allowing students to set their own pace. LSATMax, though it is an online course, ships you hard copy materials. This is important, as the LSAT is still a paper and pencil test. Also, the online course content can be streamed as well as downloaded. So if you’re studying without internet, you can still access your materials. I recommend LSATMax to students looking for an online LSAT course. It’s simple, it's effective, it has all of the features of an online course that you would expect, and the instructors are passionate about their student’s success. Princeton Review’s online course is an effective option for students wishing to gain a fundamental understanding of the LSAT. The course breaks down each individual section, teaching the student how to approach it as a whole, then the course covers each individual question type in each section. This progression is an effective method for studying for the LSAT. The course includes high-quality study materials and lessons, effective score analytics tools, a money-back-guarantee, and many of the other features students expect with online LSAT courses. 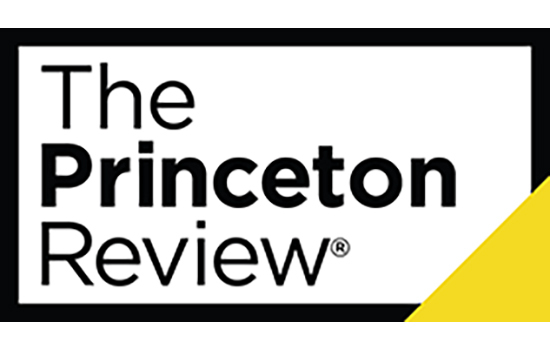 Princeton Review’s online course is a great option for the student looking to make the jump from the 140s to 150s, and those looking to go from the 150s to 160s. Going through the online course alone will be adequate to reach those goals. And, this online course will be an effective tool to build with for students looking to go from the 140s to high 160s and 150s to 170s. I would not recommend Princeton Review’s online course for students already testing in the 160s. But, for those students, Princeton Review does offer in person tutoring. Get a Free Princeton Review Trial! Alpha Score’s online LSAT course is a very thorough study tool for the LSAT. It gives you access to 61 full-length practice tests, 6,000 LSAT questions, and 50 hours of video instructions. Students looking for a comprehensive base level online LSAT course will be satisfied with Alpha Score. Their online course teaches all of the fundamental concepts that the LSAT tests. Students will also be satisfied by using Alpha Score to start their studies then progressing to self-study. I recommend Alpha Score for LSAT students who started with scores in the 130s or 140s and are self-motivated for their studies. After finishing this course, students may find that they need to spend additional time preparing for the test. There are resources on this page that will help you accomplish that. Magoosh is the most affordable online LSAT course on our list. It costs just $149 for 12 months, includes 500 official LSAT questions, 90 video lessons, and 550 explanation videos. Their instructors are available for email assistance to help you progress through the lessons. 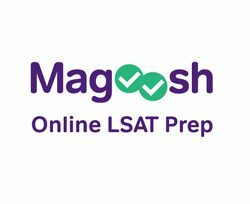 Magoosh’s online LSAT courses are great for students with diagnostic scores in the 130s or 140s looking to score in the 150s. There is enough material and quality instruction to reach those goals. With that being said, Magoosh does use a lot of questions in their lessons that are not real LSAT questions. This a pretty significant issue for students who are looking to master the exam, but is less so for students just trying to do pretty well. It also does not give you access to real LSAT exams. This isn’t that much of an issue though, since you can easily purchase LSAT exams online for affordable prices. So, Magoosh isn’t for everyone. Students trying to score in the high 160s or 170s will not get there through Magoosh’s course alone. And I wouldn’t recommend it to students with those scores in mind. 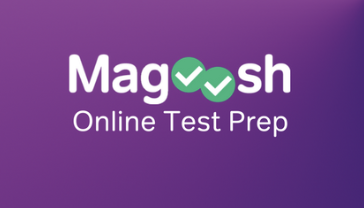 Save 20% on any Magoosh LSAT Prep Course! There are a lot of LSAT prep courses on the market, and due to a great deal of variation between them, I haven't addressed all them all the same way. For example, the following courses are not as widely beneficial as the ones on the chart, so I've grouped them separately. But, because you still may want to consider them, depending on their rankings and your learning style, I've listed them here. Blueprint is an LSAT prep focused company that aims to teach the LSAT in new, innovative ways. They achieve this goal through their interactive, engaging LSAT lessons. But what makes Blueprint stand out the most is how successful its students are. Students who complete Blueprint’s online LSAT course average an 11-point increase on their LSAT score. That increase could mean the difference between not getting into a school at all, and getting a full scholarship to that school. That comes as no surprise though, as Blueprint’s instructors are highly trained and have received some of the highest scores of any prep test company’s instructors. Blueprint LSAT teachers require a minimum 98th percentile score for employment. I recommend Blueprint for any LSAT student looking for significant score increases, and whom are self motivated and ambitious. PowerScore is a large prep test company that offers courses for all of the major college entrance exams, the GRE, GMAT, and the LSAT. Its courses teach effective, proven methods for approaching the test. It’s an efficient tool for studying that utilizes real LSAT questions and materials delivered by intelligent, qualified instructors. The company is most highly regarded for its LSAT textbooks, adequately referred to as the PowerScore Bibles. Its online courses are equally as effective, though and offer an engaging, intuitive self-paced option for students preparing for the LSAT. I recommend Powerscore as a great option for students looking to get a start on their LSAT prep, and who are looking to quickly score in the 150s or 160s. PowerScore is also great for students looking to build a foundation for scoring in the higher score ranges (high 160s to 170s), but are starting with an average diagnostic score. Testmasters is one of the most widely respected LSAT prep companies, and with good reason. The company’s founder, Robin Singh, is a legend in the LSAT world as he claims to hold the record for the most perfect scores on the test. The most popular course they offer is their in person course, but their online course is just as effective, for some students. If you can afford it, Testmasters online course is a great choice for a self-paced, online LSAT course. It is interactive, engaging, and teaches proven methods for approaching the LSAT. I recommend Testmasters to any student who is willing to put in the work to get a high LSAT score, and for students who are looking for a fast way to improve on a low diagnostic score. 7sage is one of the most popular online LSAT courses, and with good reason. It was the course that I used the most in my personal LSAT journey, and I have a great deal of confidence in its effectiveness. The course approaches the LSAT in, what I believe to be, the most effective way. It teaches you the foundational logic that underlies the entire exam through a series of video lectures. These lessons are easy to follow, intuitive, and engaging. J.Y.’s delivery makes even the boring lessons bearable. 7sage’s curriculum then addresses each individual section of the LSAT, focusing on the different individual question types in each section. If you are a driven, self-motivated student trying to study for the LSAT using an online course, 7sage will help you reach your goals. The course itself can carry students 10-15 points, and in combination with the additional study materials, the sky is the limit. Kaplan’s online LSAT course is not one we typically steer students towards. The course’s methods are not as effective as others, and the course materials aren’t always from real LSAT questions. If you’re looking at an online LSAT course that’s self-paced and in the same price range as Kaplan, I highly encourage you to try 7sage, Manhattan, Blueprint, or Velocity. I will say, though, that there are plenty of people who have had by using Kaplan’s online course to prepare for the LSAT. It’s just not our favorite.